This study investigates daily performance of power in a post-conflict society and argues that the overall process of state-building in South Sudan cannot be properly understood in separation from the ways in which state power is locally exercised. 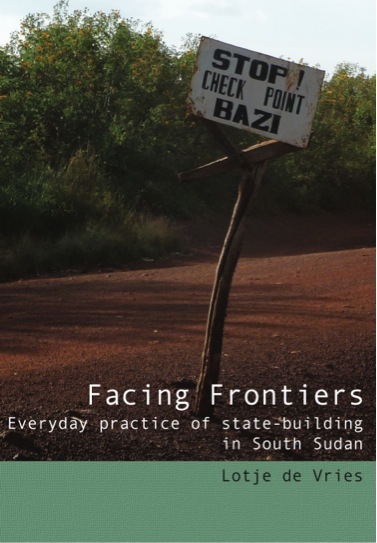 It specifically analyzes South Sudan’s political transformation from the vantage point of the everyday practice of state agents in the border area with DR Congo and Uganda. Competition between government agencies and confrontations with counterparts across international borders continuously shape how the South Sudanese state manifests itself. Also, state agents’ claim to authority is rarely only based on formal mandate but blended with negotiated claims originating in their personal trajectories. The research concludes that state-building in South Sudan started long before the Comprehensive Peace Agreement of 2005. The roots of this process do not originate in the political center Juba, but in the border area where the SPLM/A established control nearly a decade earlier. The project was supervised by Han van Dijk from Wageningen University and the African Studies Centre Leiden and co-supervised by Timothy Raeymaekers from the University of Zurich. The Ph.D. thesis was defended at Wageningen University, 7 November 2012. The research received financial support from the African Studies Center in Leiden and the Netherlands Ministry of Foreign Affairs, The Hague.